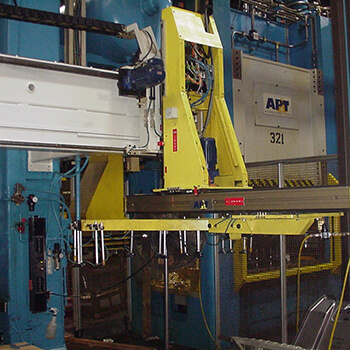 Since 1946, ATACO Steel Products has been the industry leader in deep drawn stamping. 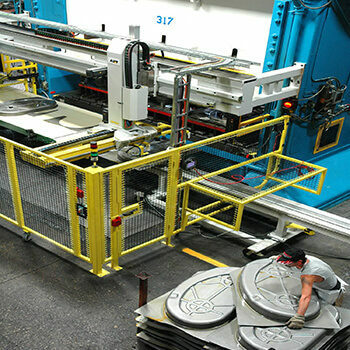 We provide complex deep drawn metal stampings up to 16” in depth of draw. We specialize in manufacturing complicated products, and will produce your small, medium, or large deep drawn stamping with the highest levels of precision and quality. ATACO’s skilled staff utilizes top of the line equipment to provide defect-free deep drawn metal stampings and on-time deliveries. 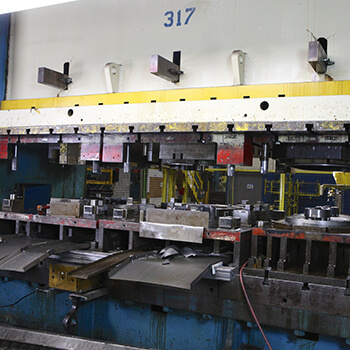 With a variety of hydraulic and mechanical presses with capacities up to 1,700 tons, and an in-house tool room, we can produce even the most complex deep drawn stamping with tight tolerances and perfect repeatability from the first piece to the last. 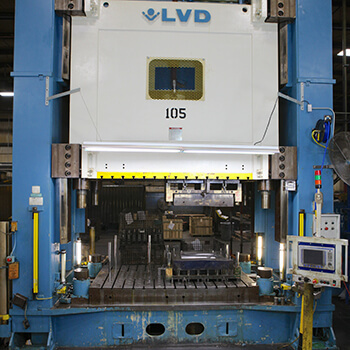 We can also provide secondary operations such as trimming, piercing, and forming; if volume is too low to justify tooling for these additional operations, we can trim and pierce via 5-axis laser cutting. We offer pre-design technical support to help you refine your designs for optimum manufacturability and cost-effectiveness. We also provide prototyping services and pre-production samples of deep drawn shells. No matter how complex your design, our “can do” philosophy enables us to produce an impressive array of deep draw stampings that others cannot. ATACO Steel Products is ISO 9001:2008 certified. Request a quote for your deep drawn metal stamping project, or contact us to learn more.